Who will design your website? You, or a website designer? Deciding whether to employ a professional to design your website or do it yourself is something you should do at an early stage, because it has a direct bearing how you proceed. If you employ a professional you only really need to pay attention to the site content - the words. You can also specify things like colours, layout preferences and so on, but mostly, that's what you pay a professional to do! 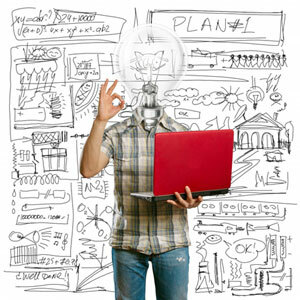 The main differences between professional and home-made websites are effectiveness and quality. Like it or not, there are some truly awful websites online, and most of them are DIY sites. You've seen them; the websites that occupy only the left-hand side of your screen, the ones with incredibly tacky images and menus that don't work, flashing logos and many, many other hideous things. Not all DIY sites are like this, of course. Some are truly excellent, but they were probably designed by individuals who put quite a lot of time and effort into learning about what they wanted to do. Creating a decent website isn't particularly hard; it just takes time. You don't have enough spare time? 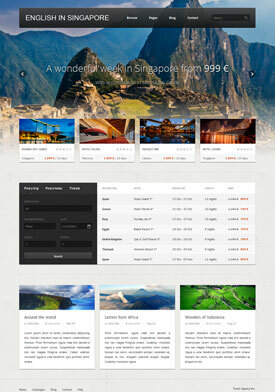 Pay a professional to design your website for you. Be careful that you're not paying too much, be sure you know exactly what you're getting and look carefully at the designer's portfolio before making a choice. A designer's portfolio doesn't need to be big. What you should look for is a variety of designs, not a succession of identical boxes. Avoid website designers who say that you don't need to write your own site content. They exist in their thousands, but whilst they know about creating websites, you know about your business and only you can describe it properly. You should write your site content, even if your text is subsequently refined by a professional copywriter to optimise it for search engines. Be sure to get an exact written description of what you are paying for. Are there any royalty fees or other fees to be paid, either now or next year? Is hosting included? What happens if the site stops working, gets hacked or needs changing? How many pages are included? Many online designers offering low-cost websites only include a single page in the price. You pay extra for each additional page. Unless you haven't got a lot to say, a website with one page is generally about as effective as a single sheet of toilet paper. Many web host companies provide free site builder software to help you design a website. The end results may not be perfect, but they're free. The alternative solution is to buy a basic design template and tailor it to your exact needs. To do this you'll need some sort of HTML editing software, such as Dreamweaver, and basic knowledge of HTML and CSS coding. Some people learn how it's done by downloading a website they like and looking at how it's put together. Again, to do this you need HTML editing software. Ideally the software provides a 'what you see is what you get' view, so you can see the effects of what you're doing as you go along. It's a great way to learn (when combined with the 'undo' button). How much is your time worth? How much time do you have? How effective do you want your website to be? If you have a lot of spare time to learn and to experiment, there's no reason why you shouldn't try to design your own website. If you don't have a lot of time, or it's important that the site starts getting results fairly quickly, pay someone to do the job for you. It's that simple.